My Bargain Basket: FREE Subscription to Muscle & Fitness Magazine! -- EXPIRED! FREE Subscription to Muscle & Fitness Magazine! -- EXPIRED! UPDATE: This deal is now expired. 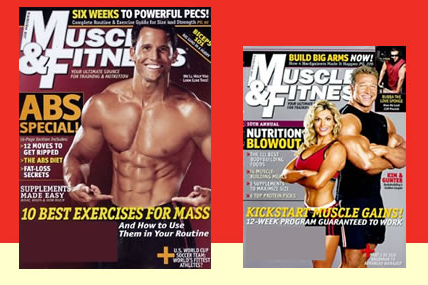 Get a FREE 1 Year subscription to Muscle & Fitness Magazine courtesy of Rewards Gold. Take a survey regarding excercise to score this great freebie!